Small spaces are fun to decorate because it usually takes less effort for large impact. Even if your home is full of large rooms, there may be a little nook or a focused spot that needs some special attention. Even though small space decorating is less overwhelming then making over an entire room, it still can be hard to come up with design ideas that make a statement. I have found some inspiration that may make this job a little easier. 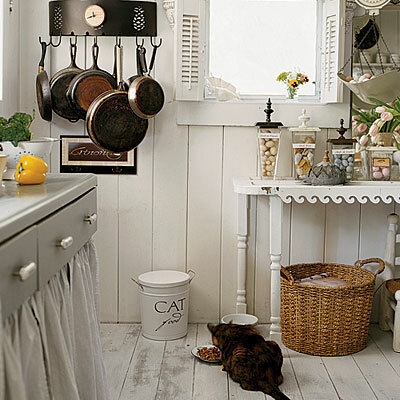 There are all kinds of great decorating ideas for small kitchens here! A pot rack not only serves a purpose for small kitchen storage, but it also looks decorative. A shabby chic side table topped with pretty storage containers for necessities is also efficient and eye appealing. And, a pretty skirt, under the counter, adds some shabby chic style that is less bulky than a heavy cabinet. Window sills are a small space that can really take on some pizzazz with some fun decor. Turning a window sill into a mini garden solves two space issues. When you don’t have room anywhere else for a garden, a window sill is perfect. 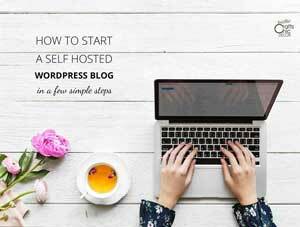 Plus, you get a decorative and cheery look to this small space. 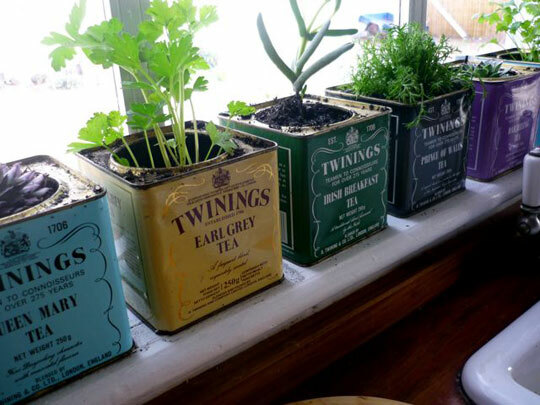 These vintage tea canister planters make a warm shabby chic look to brighten the room. If your home has no room for an office, you can still create an open office space that doesn’t take up too much room. 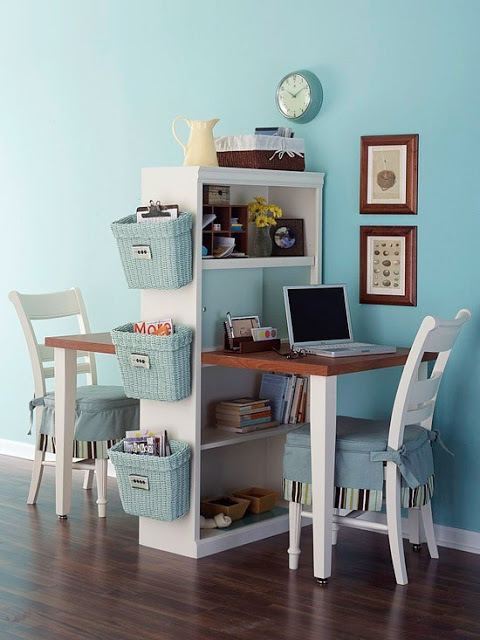 This cute space allows for not only one but two work surfaces. The white furniture and soft fabrics give the space a more airy feel. Plus, the bookcase allows for both storage and some cute shabby chic accessories. A small bedroom will look larger if you use one light color to decorate with. You can still get a lot of shabby chic interest by using a variety of textures and soft patterns.